The link between probiotics and digestive health has long been known, and promoting that link has been a large component of TeraGanix over the years. Not to be overlooked is the benefit that probiotics provide to your oral health. TeraGanix carries a selection of oral hygiene rinses and kits that work wonders on harmful bacteria in your mouth, so let’s review some common oral health and hygiene issues that can be treated with probiotics like Pro EM-1 and Dr. Don’s dental products. As part of your digestive health plan, you are going to drink some Pro EM-1 in the morning. Instead of just swallowing it, dilute with a little water and swish and gargle with it before swallowing it. This will get some live probiotics in your mouth. Bad breath is caused by compounds in your mouth that release sulfur. Since the body shuts off unnecessary functions while you sleep, “morning breath” tends to be the most unpleasant due to a dry mouth lacking sufficient saliva. Gargling with Dr. Don’s oral rinse safely attacks such compounds better than conventional rinses ever could, and will leave you with fresher breath for longer periods of time. Tonsil stones, which are a contributor to bad breath, are created by those same sulfur-producing compounds found elsewhere in your mouth when debris gets lodged in your tonsils. Combat these tonsilloliths with a gargled oral rinse much like you would for bad breath. 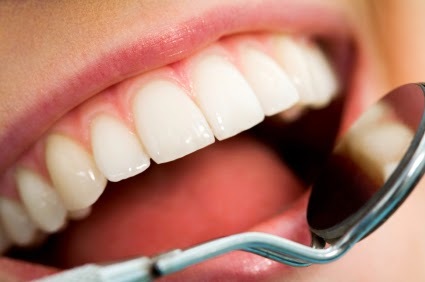 Plaque will form on the surface of your teeth – usually near the gum line – and can lead to gum disease, bad breath, and cavities if not properly treated. Using a paraben-free toothpowder will not only encourage your teeth to deflect food particles from sticking to the surface of your teeth, but it can help balance the pH of your saliva which aids in fighting cavity formation. Cavities should be rather well-known to anyone these days, but many might not understand how they are formed. Many anaerobic bacterium create acids as a waste product after feeding on sugars. Lactic acid will eat away at tooth enamel before it reaches the much more vulnerable layers of your tooth. Sulfur in our foods (it is found in onions, garlic, and all proteins) is released in our mouths and combines with water, forming sulfuric acid. These acids in our mouth will not only cause cavities in teeth, but can also get into pockets (the gaps between teeth and gums) and eat away at the bone causing bleeding and infection sites (gingivitis and periodontal disease). You can help prevent these by neutralizing these acids in your mouth with pH balancing oral hygiene products like Dr. Don’s toothpowder and pairing it with an oral rinse and probiotics to ensure yourself a basic (Alkaline pH) saliva so you can combat cavity formation effectively! When it comes down to it, using probiotics to keep your mouth healthy and smelling fresh just makes sense. Not only do they protect your mouth from harmful bacteria and acids, they are completely natural and void of any harmful, synthetic ingredients. Now you know some of the benefits of natural, probiotic-specific oral health products so you can make educated choices when it comes to protecting your teeth, gums, and mouth.